For combined operation with the T700 ultrasound measuring device. 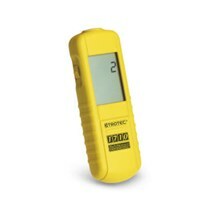 The ultrasonic measuring instruments of Trotec MultiMeasure series are modern, easy-to-use ultrasonic detectors for fast and inexpensive leak detection, diagnosis and wear tightness test. The ultrasonic transmitter SL2000 is an efficient solution for the precise location of even the smallest leaks or leaks in compressed air systems, conditioning systems and hidden pipes. The ultrasonic transmitter may be equipped with various probes, so that it can be used in any situation.